Tiny balloon ball that reaches 30 cm diameter once inflated. Adorable unicorn can be turned into a ball. 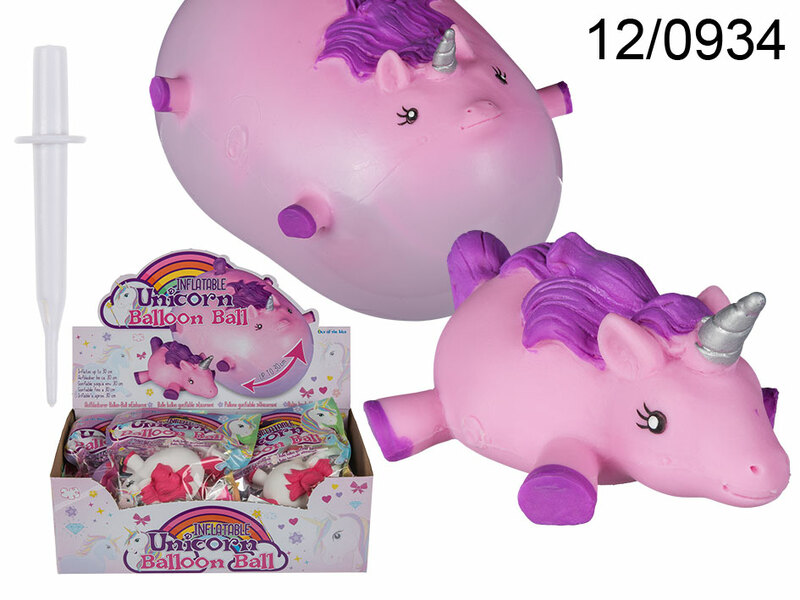 Just pop the balloon with the blower in the indicated point, blow the balloon and watch the unicorn change into a ball. Kick it, throw it and squeeze it. Three colours available - assorted.